These days, people who need or want aesthetic treatments can shop around. Most feel any dermatologists can do Botox or fillers, so they will go to the one who’s offering the best deal. That’s why building patient loyalty is so important. Outside of surgical revenue where fees are generally high, the most lucrative procedures are those where patients return for additional treatments. But practices lose patients all of the time— sometimes over very small price differences—when those same practices should be working to keep those same patients. The good news is all of the elements that garner patient loyalty are simply good business practices. Although you may already may be doing some of them, you may need to put in a little more effort to make them work. Here are four things dermatologists can do to build patient loyalty. If you want to build patient loyalty and develop a thriving business you’ll have to spend a lot of time educating your patients. 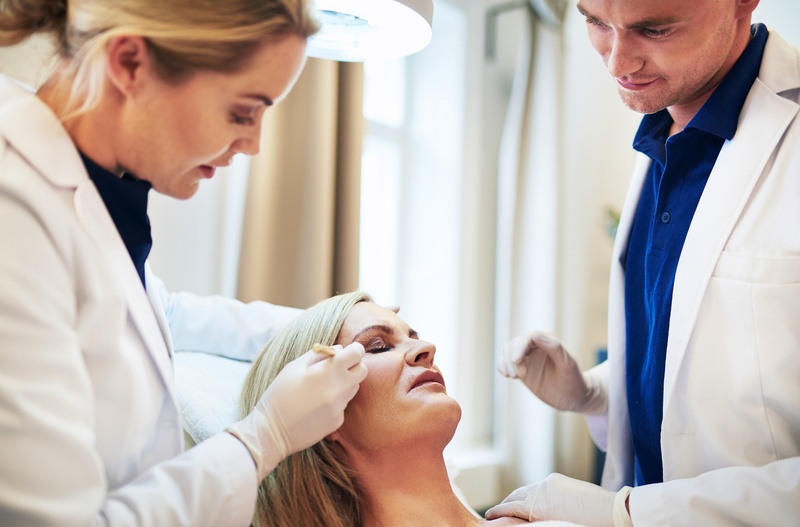 A study in The Journal of Clinical and Aesthetic Dermatology found successfully managing dermatological conditions depends largely on patient education strategies. Putting forth the effort to educate patients properly can produce long-lasting benefits for patient care and build loyalty. It is an important and effective way to communicate with your patients because it empowers them and promotes trust. You may play soft music to create a restful atmosphere, or offer them something to drink or a snack. If you can give them something they’ve never had before, their loyalty will build from day one. You can even create a loyalty program, similar to the ones you’ll find in retail sector. Research shows people respond favorably to loyalty programs. A Wharton College study found those who were offered the chance to take part in a special program that would earn them free services were twice as likely to join and complete the program. When done properly and professionally, practices with loyalty programs can increase sales across all service lines. Another way to build patient loyalty is by keeping wait times to a minimum. Be mindful of appointment times and make sure your scheduling software is up-to-date to avoid glitches. This will help to keep you on schedule, or maybe even get ahead if an appointment runs shorter than expected. Find out what your patients want and give it to them. If they don’t tell you directly, maybe you can offer them a survey. Ask a lot of questions and listen closely to their answers. If more than one person is having trouble getting in to see you during the week, consider adding intermittent Saturday hours to satisfy the need. You also can keep your patients updated. If things are changing at the office, tell them. Your patients will feel special if they feel like they are being informed as part of the practice. It’s up to you to make sure your practice meets the expectations of a demanding public, but you don’t have to do it alone. Discover the other ways to improve your practice with our free guide, Stop the Budget Bleed: How Private-Practice Physicians Can Reduce Spend.